The ACCESS® Original Roll-Up Cover and ADARAC™ Truck Bed Rack combo gives you our classic, best-selling tonneau cover and a solid pickup rack for long pieces of cargo. 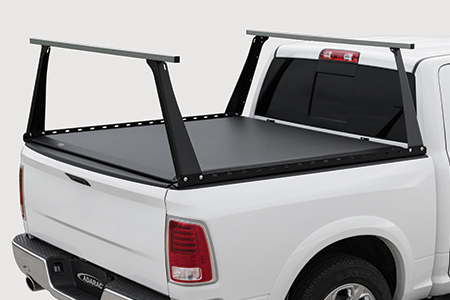 When you install an ACCESS® Original Roll-Up Cover and an ADARAC™ Truck Bed Rack, you enjoy the benefits of a secure tonneau cover and a durable pickup rack at the same time. 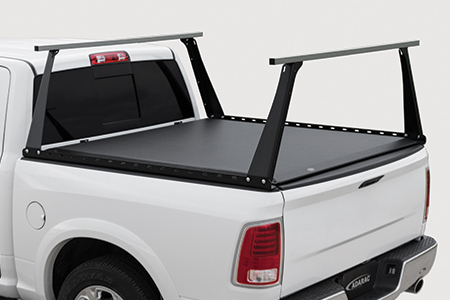 Adding this tonneau cover and rack combo can double the cargo space of your truck. 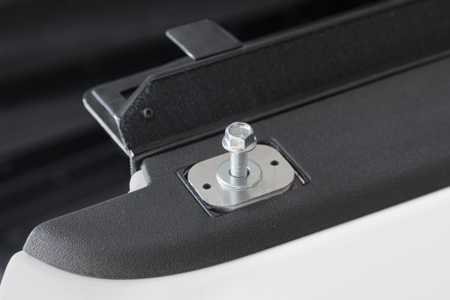 The ACCESS® Original Roll-Up Cover mounts to the inside of a truck’s bed, and the ADARAC™ Truck Bed Rack attaches to the top of the bed. There is no need to remove one or the other. 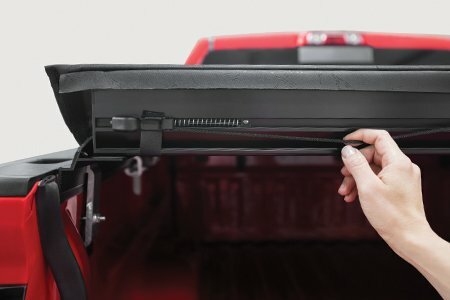 Just roll up the tonneau cover whenever you need access to the bed, and the rack is always ready for cargo. 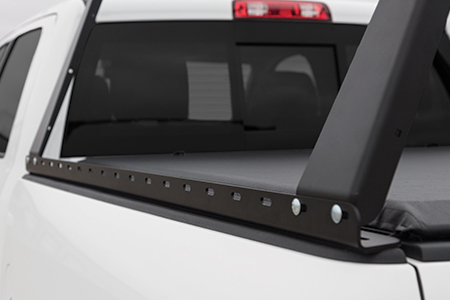 All ACCESS® Roll-Up Covers and ADARAC™ Truck Bed Racks are built model-specific for an exacting fit to your truck bed. This is not a one-size-fits-all operation. These truck accessories are made to get a proper fit on most Ford, Chevrolet, GMC and Dodge Ram trucks. If your cargo is too long for the truck bed, strap it to the pickup rack. This package gives you a cargo rack that can fit many roles: ladder rack, canoe/kayak rack, lumber rack and more. If it weighs less than 500 pounds, this pickup rack can carry it. 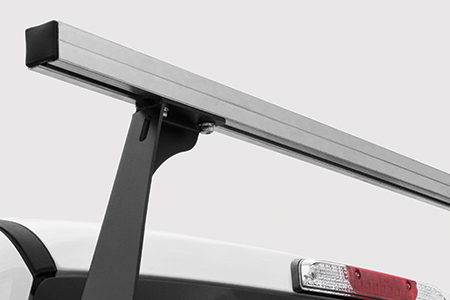 The ADARAC™ Truck Bed Rack has steel rails, bars and hardware to face all sorts of weather. 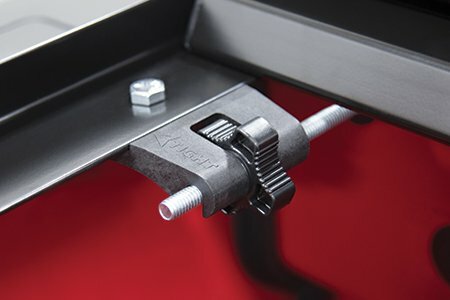 The rails have multiple mounting points along their lengths to let the uprights be mounted in many configurations. They can also be mounted at the front or removed entirely whenever you need to load something particularly big. 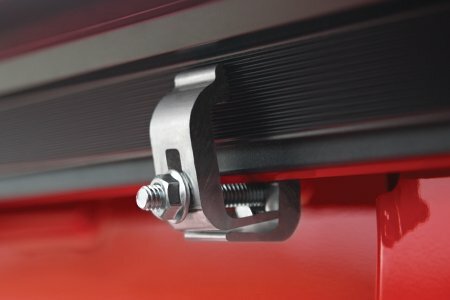 These mounting points also give you more options for tying down cargo to keep it secure. 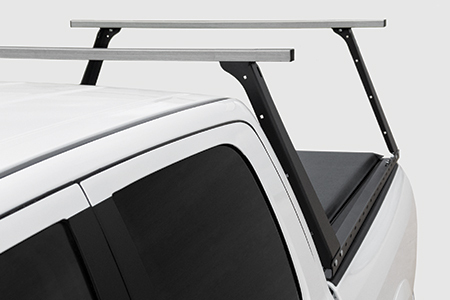 This pickup rack and tonneau combination gives you a tonneau cover designed for all four seasons. The vinyl is made to handle all kinds of weather, from the hottest summer day to bitter winter cold, as cold as -40F. 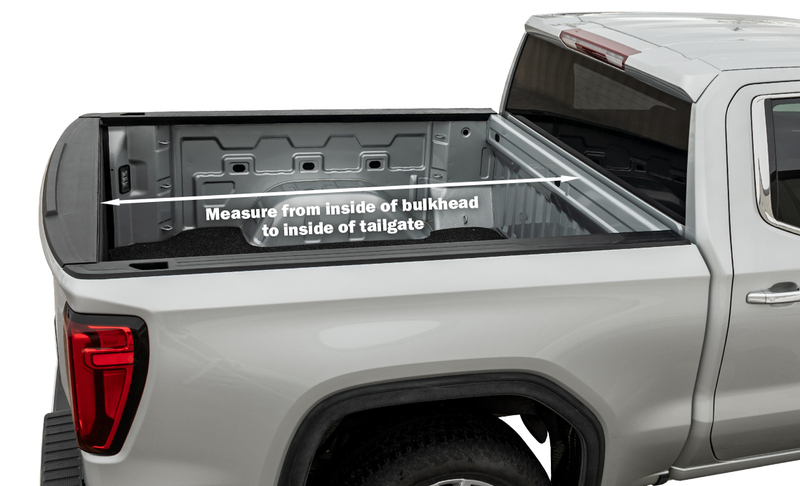 The tonneau cover is sealed on all four sides to keep the weather out, and includes our Element Seal™ Gasket to give extra protection at the front of the bed. 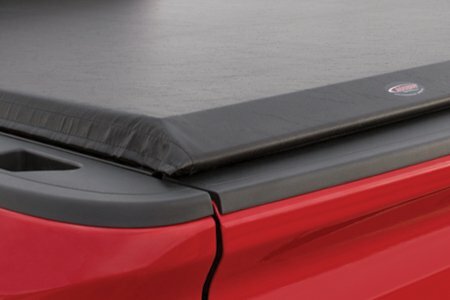 The ACCESS® Original Roll-Up Cover is an increased-capacity tonneau cover, and sits 1 ½” above the bed to provide more room underneath for cargo. When you need to haul something tall, roll it up and store it behind the cab to have full use of the bed. Once the cargo is delivered, you only need a moment to roll it down flat and cover the truck bed. Extruded aluminum cross bars combined with powder coated steel uprights and rails handle up to 500 lbs. distributed evenly. Height above the box rail: 26 in. for full size and 27 in. for Super Duty trucks. Optional load dividers sit an additional 3 in. above cross bars. Aluminum stake pocket inserts, no drilling needed. Low profile, aerodynamic design with added tie down openings at the top. Simply remove or reposition. Easily secure payload to numerous tie down locations, use with or without uprights. Conveniently attach accessories and secure gear utilizing integrated mounting channels. Works with ACCESS® Roll-Up Covers and most inside the rail roll up tonneau covers. Not suitable for folding covers. Tonneau cover not included. Installs in minutes. Specifically cut "teeth" maintain a superior grip and exceptional strength. 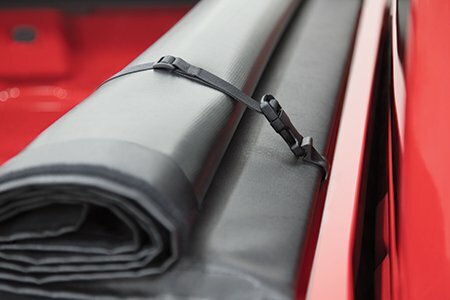 Make sure it's the original roll-up cover with our exclusive Slantback Rear Design. *The Slantback Rear Design is a registered U.S. 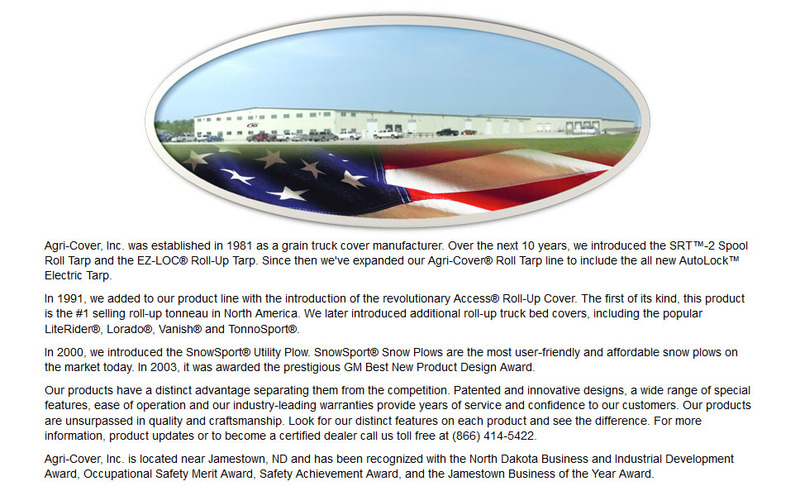 Trademark of Agri-Cover, Inc. I am impressed with the sturdiness and ease of installation. Plus, the rack matches the contours of my truck precisely and looks like it was designed with my truck in mind. This would be a great rack for a contractor. I am sure there are a lot of businesses with fleet trucks that would greatly benefit from these racks. I will be using it to transport my canoe with me camping while I have my travel trailer hooked up. I didn't have a feasible way to take it camping with me before. This rack is more than I expected. All welds are perfect/flawless. Powder coat application is beautiful. Fit is exact to my 2004 F-150 6.5 box. The instructions were clear, and all hardware was supplied (and is high quality, you can really torque the bolts down). The end result looks fantastic and is rock solid! 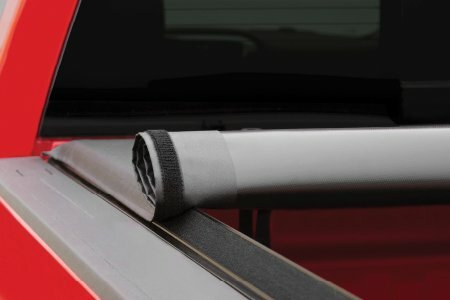 I added an Adarac Truck Bed Rack to my Ford Trucks F150, which already had an Access Roll-Up Cover installed. This rack works great with my truck bed cover. Went together easy. I installed your bed cover and rack this past weekend. The cover went on easier than I thought and when I was confused I just checked the videos. This is my first cover and I really like it. I have to say without a doubt your rack is the best for no drill mounting on a F150.I have had a Yakima Outdoorsman, The Trac Rack, and Thule Xsporter. I disliked them all because of the pressure they exerted on the Ford ribbed bed rail cap. I thought eventually they would crack it. Your system is ideal as it disperses the weight across the whole bed rail while allowing multiple positions and easy removal if the need arises. The use of common SAE wrenches, nuts and bolts only makes your rack all the more awesome. Shopped around online for weeks to find a sturdy truck rack that would carry our 80lb canoe, we have a roll-up tonneau cover and did not want to have to remove it or drill into the sides of our truck. Also did not want to pay $700 for a "brand name" rack. Ordered the Adarac, it was delivered for free within a few days and was very simple to fit. Just YouTube for very easy to follow instructions! Very pleased and will use you again for future purchases. Thanks! This system was easy to install following the written directions. The truck rack fits with my tonneau perfectly! You can remove uprights when not is use quickly with 8 bolts. By yourself! I use the rack for hauling kayaks and long boards! My favorite thing is being able to keep my gear covered and still have the rack to haul the boats. I also was surprised at how little wind noise came from the racks in my new 2015 Silverado truck! The Truck Rack and the Access Roll up cover work great together. The truck rack can be adjusted for short kayaks or for a 12' boat via 8 bolts but this combination only cost 1/4 the cost of other mfg. adjustable truck rack and roll up covers that work together. First off, I've never seen a product packaged so well. 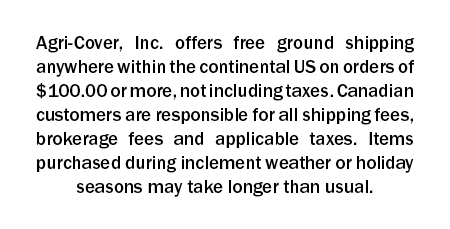 This company is great to work with. Easy and fun installation. A friend and I did it in 15-20min with no hassle. The rack is rock solid and easy to adjust for various lengths. I installed a Yakima bike and ski rack on top, fits perfect. I also use it to haul my 13ft laser sailboat around, works great! You won't be disappointed with this purchase. The sole reason for this purchase was to find a rack that is usable with my Access tonneau cover (best cover I've had!). They work hand in hand, I can keep my muddy bike on top and keep my bed dry for clothes, etc. I put it on a 2009 Silverado crew that has rhino liner. I purchased this rack to occasionally haul ladders or canoes. This is a very nice system that installs easily and allows for the use of the Access Cover as well. Very happy with the rack. With basic tools and a few hours time, I had my racks and cover installed. The product looks great. The tonenau cover is easy to use and more secure than I had imagined. Only reason 4 out of 5 stars, I wish the racks had upright posts to better secure my ladder. Very impressed with the quality of the access cover and adarac rack. Ordering was easy. Was very easy to put on the truck. Very happy with the product. Thank you. The truck bed cover has been great. Also a big fan of the Adarac. I can bring kayaks and bikes to the campground. The pickup rack has held up great.